The Gaturiri factory is located in the Nyeri district in the Southern part of Mt. Kenya and is part of the Barichu Cooperative Society. Gaturiri serves about 1,100 small scale producers and produces approximately 600 tonnes of cherry. Fresh river water from Kirigu stream is used during processing. Gaturiri is a Kikuyu name for “the shrubs” which were mainly found around the area. The place was famous of these shrubs and many people had to go for herbs to make medicines for both human and livestock. Barichu Farmers Cooperative Society is located in Mathira East Sub-County in Nyeri County. It is currently composed of four factories, Karatina, Karindundu, Gaturiri and Gatomboya. It was registered in October 1996 under Cooperative Development and Coffee Board of Kenya. It has 5,800 registered members and produces 3 million - 5 million Kilos of coffee. Barichu works to give the farmers credit facilities for school fees, farm input and other emergencies. 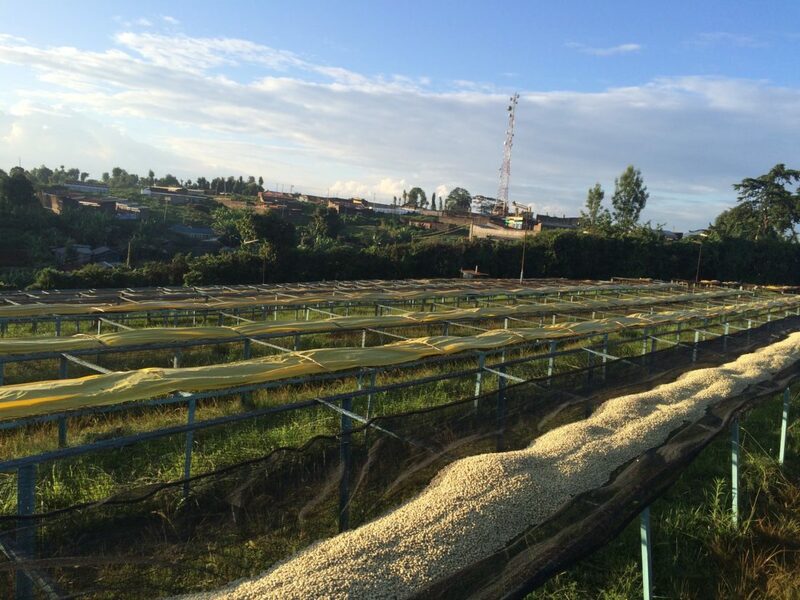 Their goal is to help educate farmers on crop husbandry and other agricultural practices important to the coffee. They have a demonstration plot financed by Tropical Management and house a nursery which serves the whole society providing matured seedlings to help reduce drops in production/income for farmers.